Finally the quilt top is finished. Now on to the quilting part. I did buy some very interesting fabric for the back. I really like it. 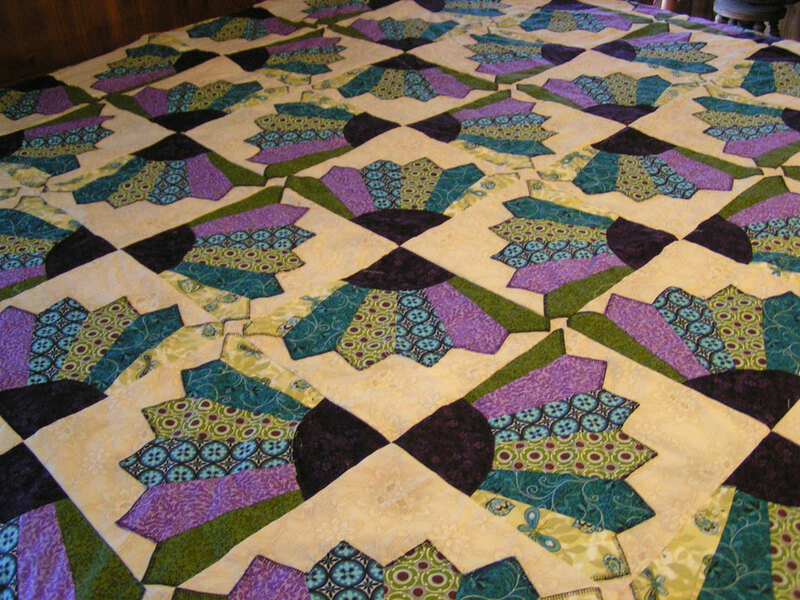 When the quilt is finished I will post a back picture as well as a front picture. This is going to be the last Grandmothers Fan that I plan on doing. Sometimes after I do so many that is it. Well this is it. I dont think I could do another. I love scrappy and I am going to only do scrappy old fashioned quilts the rest of this year and the entire next year. I hope I do not get tired of them. I met with my webmaster Carol yesterday. Our heads are bursting at the seams with ideas. Stay tuned for more information at a later date. See that is a reason to come back for a visit. 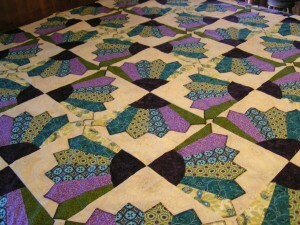 This entry was posted in Quilt Pictures. Bookmark the permalink. Love it! I also love the old-fashioned quilts with lots of pieces. Those colors are gorgeous! Can’t wait to see the finished quilt! Love the colors of your fabrics on this one! So Beautiful!